Concrete flooring has been used in building design for many years, mostly thanks to its durability and versatility. In the past, many people have chosen to cover up the concrete with carpets and other alternative flooring options. However, the humble concrete floor is beginning to see a resurgence in popularity. 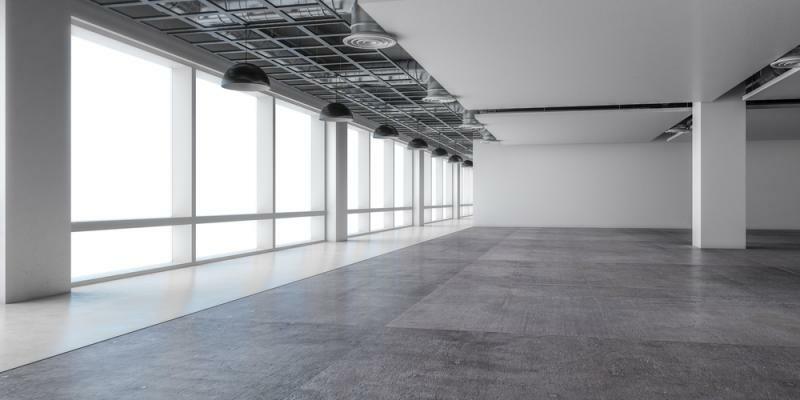 Thanks to its adaptability, concrete flooring has long been a staple component in architecture and design styles for historical, business and private buildings alike. Whether it is concrete repair to original flooring, indoors or out, or a custom treated concrete floor which is required; there are always plenty of options available with concrete. And, due to recent innovations and developments in the industry, concrete flooring no longer has to be dull and grey. Colouring concrete or applying unique patterns and textures can help to bring a new lease of life to this traditional flooring choice, offering a range unlike any other material. What are the Benefits of Concrete Flooring? Concrete is one of the most durable flooring options out there, down to its toughness and high degree of resilience. It is a popular choice for industry, commonly seen in warehouses and garages, as it can withstand the pressure from heavy equipment and near-constant use. Concrete is also difficult to damage, which helps with avoiding chips and scratches and ensuring a high-quality finish is maintained. Similarly, concrete flooring is relatively easy to maintain. Indoor flooring should be waxed or sealed periodically to ensure it continues to look its best; outdoor flooring can be cleaned or mopped if desired. A properly installed and maintained concrete floor is an incredibly long-lasting investment. The flooring can survive high levels of traffic and use, as well as pressure from the environment and the elements if installed in an outdoor area. Over the long term, concrete flooring will also end up saving you money as it won’t need to be regularly replaced, unlike other common types of flooring. It is the incredible versatility that really makes concrete flooring stand out from the crowd. Equally suitable for indoor or outdoor areas, commercial or private buildings, or even helping with the restoration and conservation of historical buildings, concrete is a real unsung hero. If you would like more information about the concrete repair services that we offer here at Concrete Renovations, please get in touch with a member of our team or give us a call today on 01733 560362.